White Oak – Jane Lutterbei. Beloved wife of the late Charles Lutterbei. Devoted mother of the late Michael Lutterbei and Debbie (James) Kettering. Also survived by six grandchildren and three great-grandchildren. 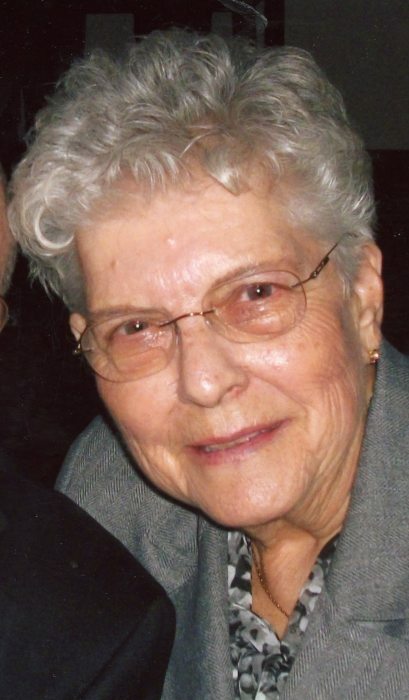 Jane passed away on January 29, 2019 at the age of 88 years. Visitation will take place on Saturday, February 2nd from 10 AM until time of the Funeral Service at 12 PM at Monfort Heights United Methodist Church, 3682 West Fork Rd., Cincinnati, OH 45247. Interment at Arlington Memorial Gardens. Memorial donations can be made to Susan G. Komen Greater Cincinnati or to the Charity of Donor’s Choice. Online condolences can be made at www.paulyoungfuneralhome.com . Paul R. Young Funeral Home (Mt. Healthy) assisting the family.